What can I do to help make sure the chocolate products I buy are free of lead and/or cadmium? Back to top. The main route of human lead and cadmium exposure occurs via ingestion from food as well as through contaminated water and soil.4, 7 Lead and cadmium in food are ubiquitous and do not seem to discriminate between natural, certified organic, and non-organic products. One or both of these metals have been found in various foods including baby foods (made with carrots, peaches, pears, sweet potatoes), dietary supplements, vitamins, protein powders, seaweed snacks, ginger cookies, packaged peaches/pears, various fruit juices, as well as chocolate. Back to top. Cadmium and lead may contaminate the chocolate product at many points through the “bean to bar” process; these sources may depend on the cacao growing, fermenting, processing, manufacturing, shipping, and packaging practices. Back to top. There may not be a single remedy to remove lead and cadmium in chocolate products. Chocolate manufacturers must be vigilant about monitoring the full chocolate production process -- from growing cacao beans, to processing the beans, through the transport, manufacturing, and packaging steps -- testing for possible sources of contamination in that process and taking steps to reduce contamination where it is identified. 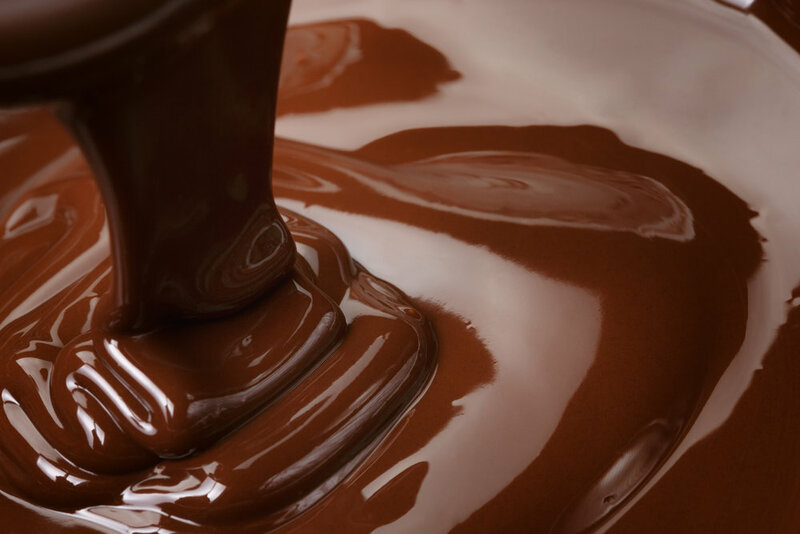 For example, the equipment used to process chocolate could be a primary source of lead or cadmium. Similarly, water used in processing or containers used in shipping, may be high in lead. Amendments used to grow the cacao trees may cause metals to be uptaken. Or lead may fall on beans growing on the trees or drying on the ground. Once the source(s) are identified, suppliers and manufacturers can improve their practices; increase supply chain transparency; and effectively remove or reduce lead and cadmium from their final product. Back to top. Chocolates for testing are obtained from retail outlets throughout the state or ordered on-line. Heavy metals testing is conducted by independent, state-certified laboratories with special accreditation in food testing. Measurements of lead and cadmium are conducted using ICP-MS following EPA protocols or similarly standardized methods. The laboratory results are reported in concentrations of lead and cadmium, expressed in parts per million (ppm). In addition, for ease of reference, we have also translated the laboratory results from concentration (ppm) into micrograms per serving size, a measure of exposure. To calculate micrograms per serving we take the reported concentration (ppm), and multiply that by the product’s suggested serving size, in grams. For example, exposure from lead from a 30 g serving size chocolate bar, with a testing result of 0.2 ppm lead, would be calculated as follows: 0.2 ug/g * 30 g = 6.0 ug/serving. Back to top. The only way to tell if lead or cadmium is in a product is to test the product for heavy metals at a certified lab. Back to top. The FDA does not consistently monitor food for lead and cadmium contamination. California has the most health protective standards in the country for the presence of lead and cadmium in consumer products, and requires the manufacturer to warn consumers if a product contains chemicals known to cause cancer and/or birth defects or other reproductive harm. Back to top. It is difficult to predict which chemical exposure(s) will trigger an adverse health effect in a person, due to individual variation (depending on biological and/or genetic factors). What we do know is that lead and cadmium are toxic heavy metals that accumulate in the body where they remain for decades. The first step in preventing exposure is to identify the chemical itself and then try to avoid it. With all chemical exposures, the most vulnerable populations are developing fetuses, children, the elderly, and those most impacted from working or living near industrial and manufacturing plants. Back to top. Check the lists that we have published on our web site and buy the product that do not require a warning. You can also write to your favorite chocolate manufacturer(s) and ask them to fix this problem. Back to top. California Safe Drinking Water and Toxic Enforcement Act of 1986 is a consumer-right-to-know law voted into existence in 1986 by California citizens. It protects Californians by requiring the manufacturer to warn consumers if a product contains chemicals known to cause cancer and/or birth defects or other reproductive harm. While the law is California specific, the enforcement of the law can have a positive impact on all of the consumer products available across the U.S. Many product manufacturers, when reformulating to reduce toxins for the California market, will sell the reformulated product across the U.S., and even globally, rather than make separate products for each market. For over 23 years, As You Sow has been successfully enforcing the California Safe Drinking Water and Toxic Enforcement Act of 1986 and has worked with manufacturers to reformulate hundreds of products in order to provide consumers with cleaner, healthier products. These include mercury in fish, toluene in nail polish, lead in herbal supplements, formaldehyde in portable school classrooms, and toxic chemicals in cosmetics and laundry detergent. You can see a list of some of these products on our Toxic Enforcement page.